New Forest Luxury Caravan Pitches at the Sandy Balls Holiday Centre have a lot to offer. Sometimes, if you go away you know you will have to sacrifice some luxuries. Not here - it really is all laid on for you when you book - you just need to relax and enjoy the beautiful New Forest surroundings and all the centre has to offer. When I visited the guests all looked very relaxed and happy. 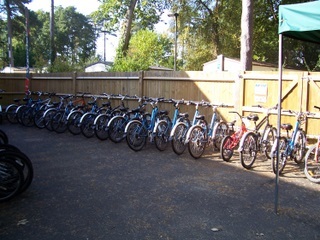 Admittedly it was a bright sunny day, but it was October and many were sitting outside enjoying the late season sun. When you book one of the luxury caravan pitches it has a grass surround and a 6 metre gap between each caravan. This made the whole area much more private than I would have expected. I remember staying on a club site in Worthing years ago and we could have all shaken hands through the windows we were so close! It is not like this at Sandy Balls - they really have thought everything out well. As I went round the luxury caravan pitches, I was starting to really regret selling my caravan, but I do live on the New Forest now and so it would have been a very short journey to stay here! I feel this is a lovely site which offers a great holiday with wonderful surroundings and superb facilities.. all the luxuries of home (nearly) but in the New Forest. You have to like being around other people to obtain the level of luxury but perhaps that's worth it to you? To find out more about making a booking for your holiday, get more caravan pitch information here. 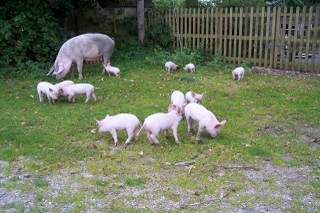 Look out for little piggies like these when you stay in the New Forest with your caravan! 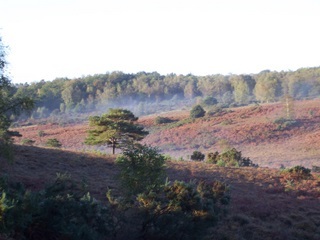 They will be around the New Forest during Pannage in October and November each year. Just put your search details e.g. 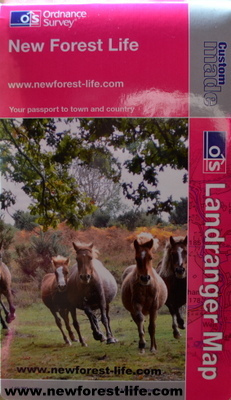 New Forest ponies in the search box and hit Search and you can choose to search my site or go onto the Web and come back to NewForest-Life.com.